Tuesday–Quinoa fried rice. I love making fried rice with quinoa; it’s more healthy and it’s great warm or cold. 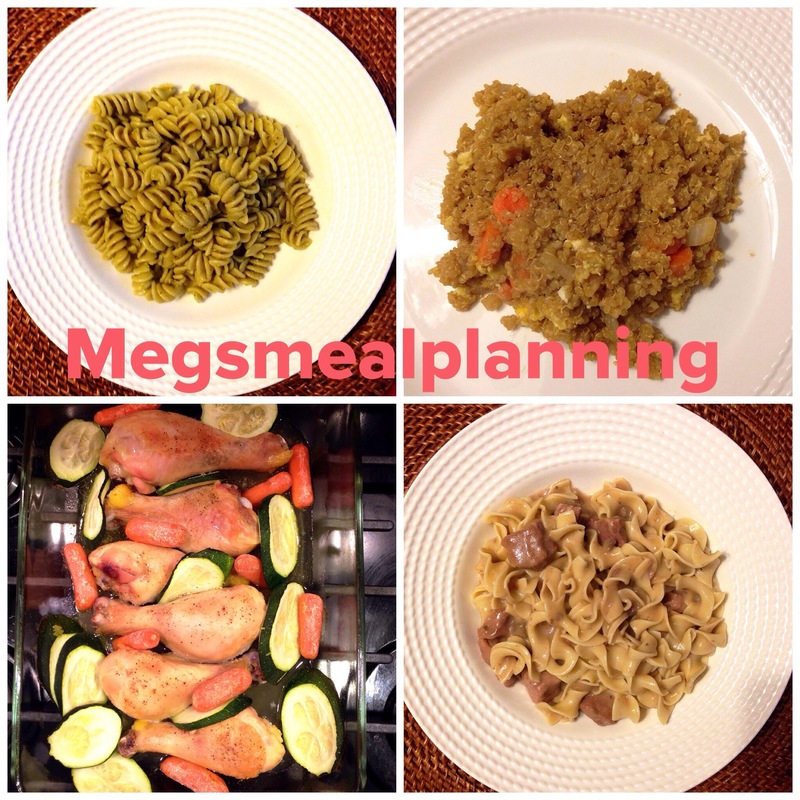 Wednesday–Baked chicken drumsticks with zucchini and baby carrots. A one pot wonder. The chicken cooks first, then you add the vegetables. Thursday-Beef stroganoff. Crock pot season has offically started!